Would you like to learn the secrets that can improve ANY martial arts technique while also developing inner calm and focus? Would you like to experience a complete art for body and mind that leaves you more prepared to meet the obstacles in your life, on or off the mats, by becoming more present and fully aware? The internal martial arts masters of ancient China developed the skills to train both their minds and bodies for tremendous levels of inner power, but they were often cryptic, frequently taking their secrets with them to the grave! Fortunately, in modern times, one living master is sharing these secrets openly. 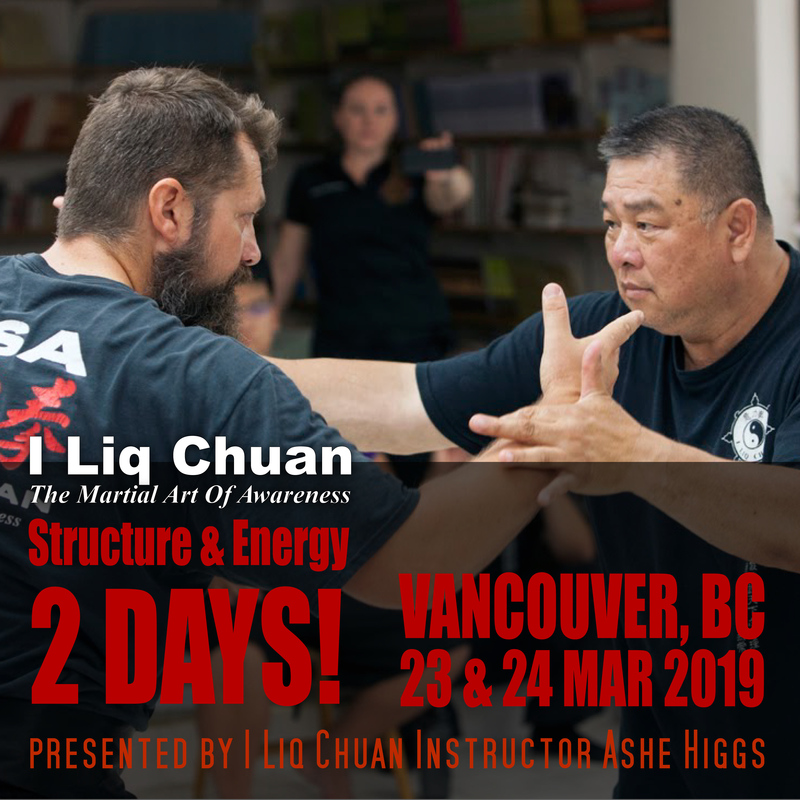 Grandmaster Sam Chin is the founder of Zhong Xin Dao I Liq Chuan, a powerful and transformative martial arts system. I Liq Chuan is based on the Tai Chi and Zen principles of flowing, awareness, and understanding yin and yang. You will learn to be more balanced and mindful, transforming your martial arts practice and your day to day life. Become stronger and more resilient through understanding structure and alignment of your body, helping you to stay healthy and avoid injury. I Liq Chuan is an internal art, incorporating the mental process and “Qi” energy to unlock the natural, inner power that lies within us all. *RSVP by Feb 20, 2018 and save $30 CAD! Deposit is non-refundable within 14 days of workshop. you will be re-directed to PayPal to complete transaction. We will have an open invitation for anyone who would like to join us for Q&A over a meal and tea after training on Sunday.